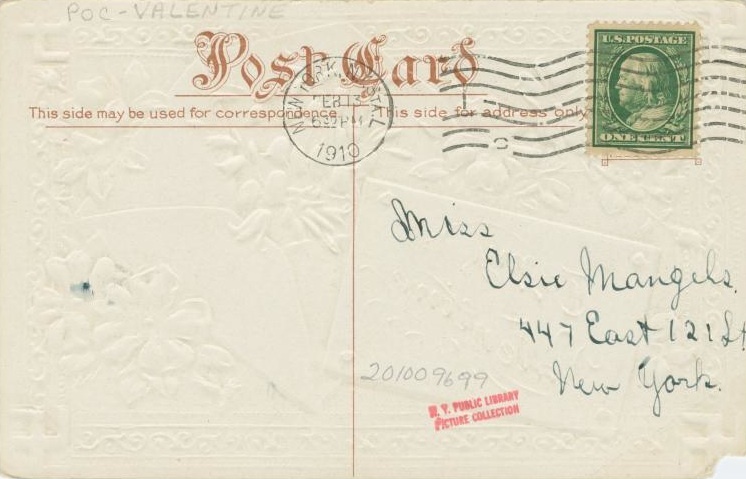 I wonder who mailed this sweet yet message-less card to Miss Elsie Mangels, who apparently resided at 447 East 121st Street in February 1910? Her residence looks like it no longer exists; a housing development and some empty lots occupy that address today. 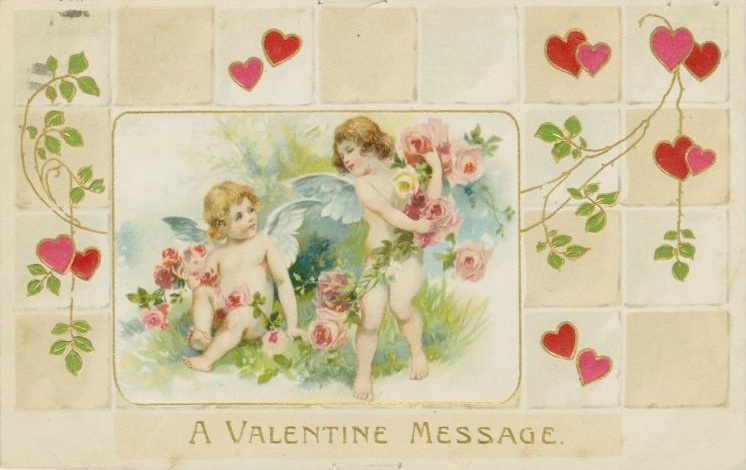 The card comes from the New York Public Library’s digital collection—a treasure of old ephemera, including vintage Valentine cards. 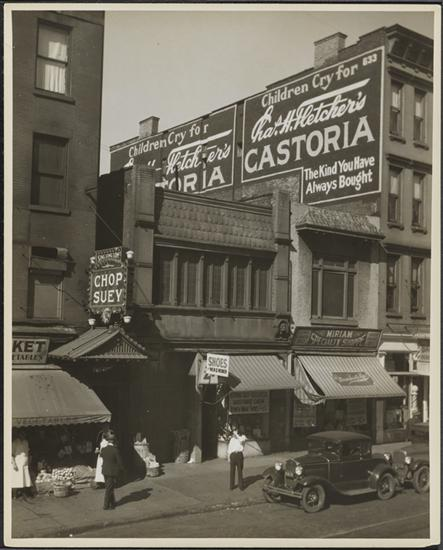 In 1915, when this photo was taken, Lexington Avenue at 116th Street was firmly in the Little Italy of East Harlem, hence the Italian in the signs on the far right above a chemist’s office. 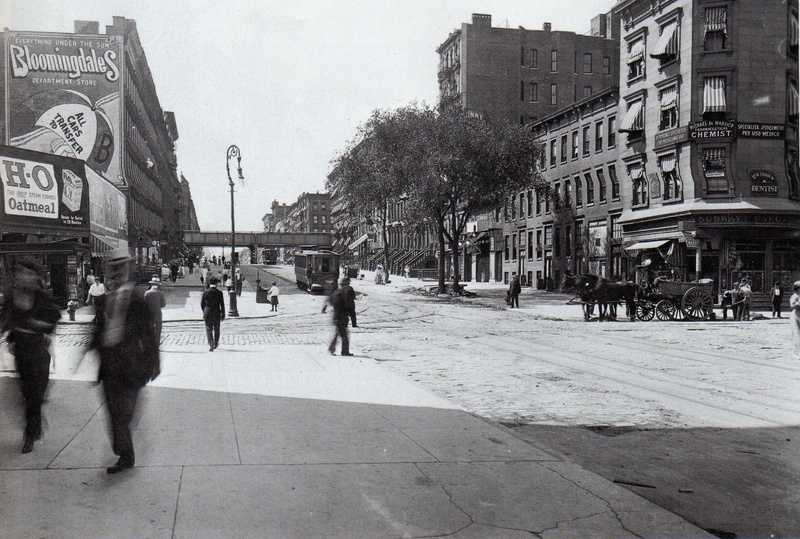 “This section of East Harlem was developed during the 1880s with the familiar New York brownstone residences and walk-up apartments,” states New York Then and Now, where the photo and the one below appear. 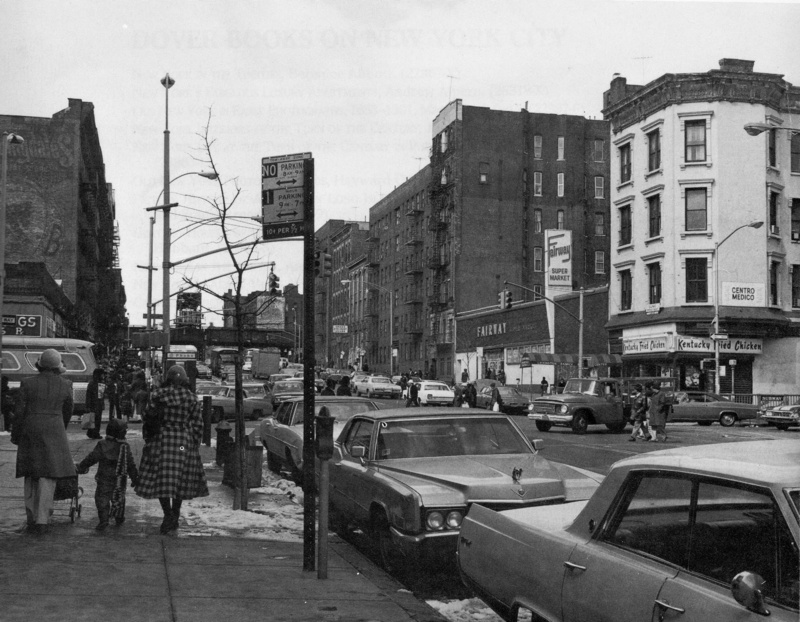 By 1975, the Italian neighborhood is mostly gone; Puerto Rican New Yorkers have moved in. 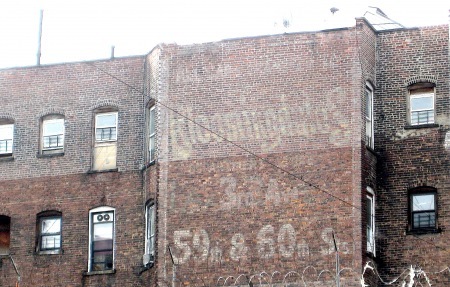 The buildings themselves haven’t changed much—and the Bloomingdale’s ad from 1915 is visible 60 years later. 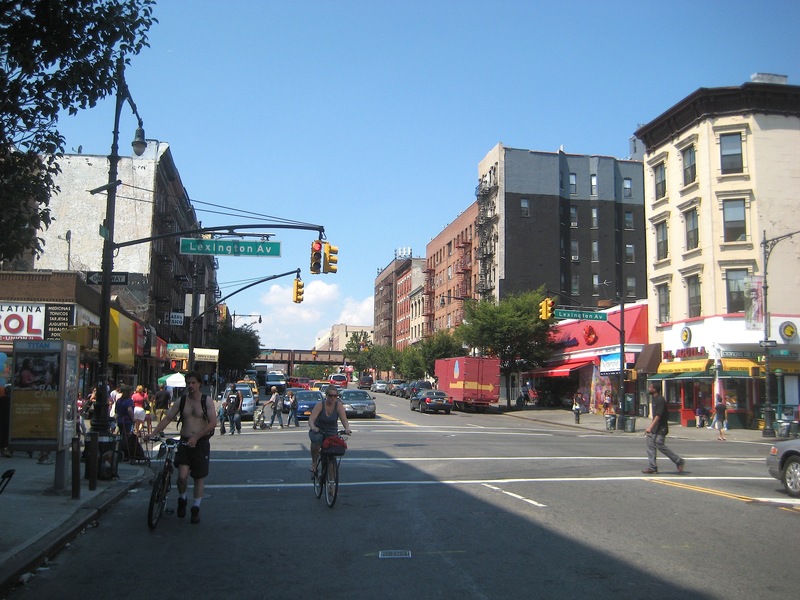 In 2012, the streetscape still looks similar. The corner building that went from saloon to Kentucky Fried Chicken outlet is now home to a taco shop, a sign of the neighborhood’s Mexican population. And though the Bloomingdale’s ad on the corner has been painted over, next to it out of view, a second Bloomingdale’s ad is still legible! Here it is from an earlier Ephemeral post. 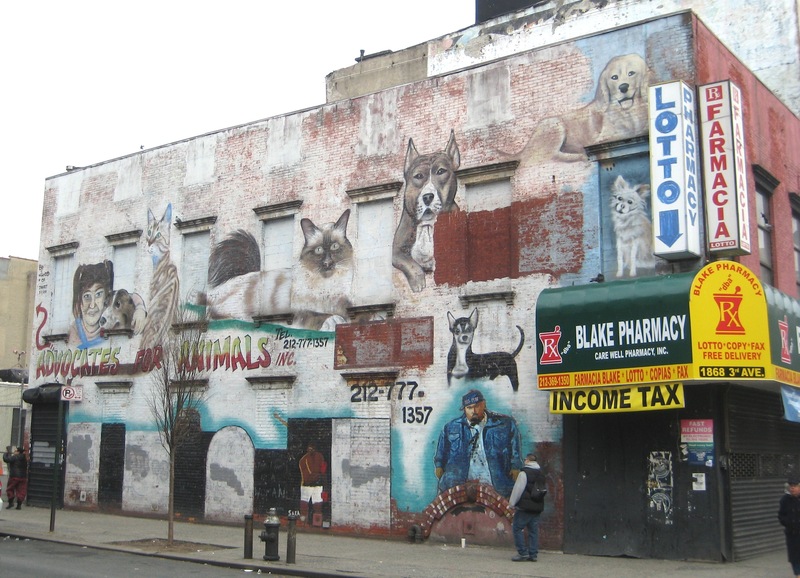 Graffiti artist Chico painted this mural in 2001 on the side of a building at Third Avenue and 103rd Street. 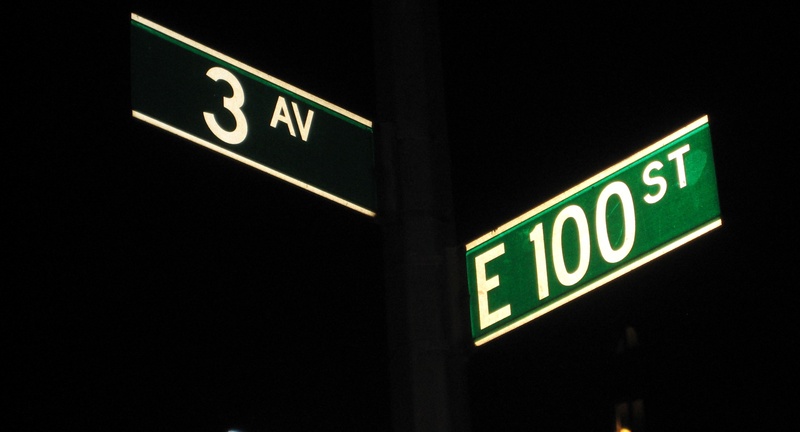 Animal Care and Control—the city pound—is up the block on 110th. 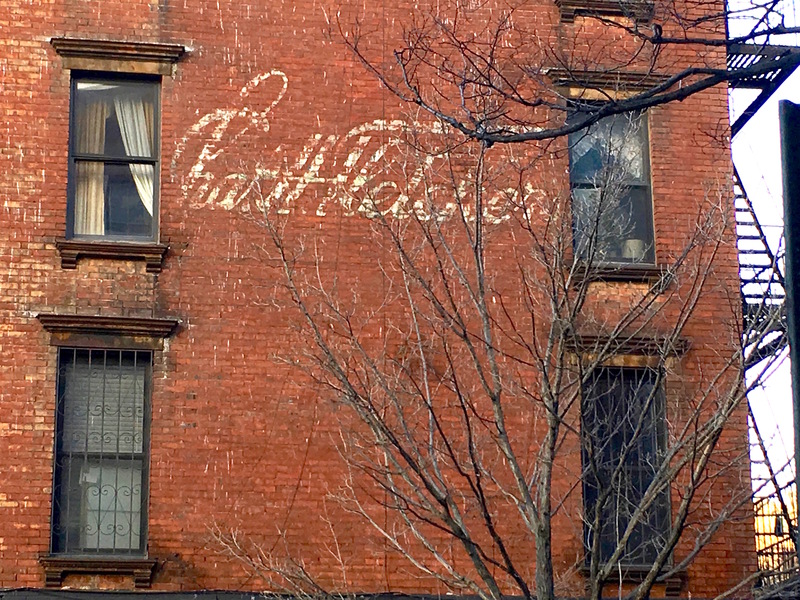 His animal-themed murals are (or were?) 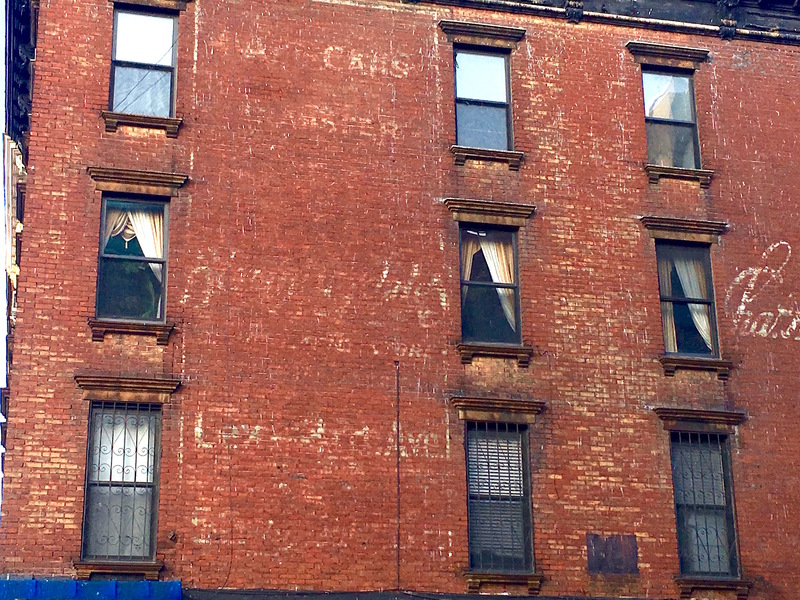 all over the East Village. The Local East Village has a few here. It may be the only time a tropical bird helped crack a New York cold case. On July 12, 1942, Max Geller, owner of the Green Parrot Bar and Grill on Third Avenue and 100th Street, was shot to death in his small restaurant by a lone gunman. “None of the restaurant’s patrons could (or would) identify the killer, and the police had no clues,” wrote Patrick M. Wall in The Annals of Manhattan Crime, published in New York magazine in 1988. Months passed, and finally, a breakthrough. 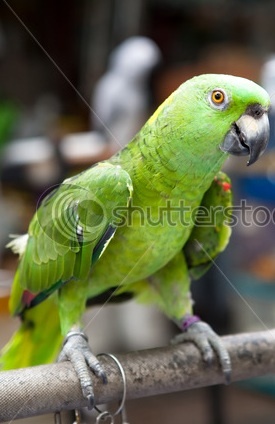 Geller had kept a real parrot in his restaurant, and a detective learned that the bird was trained to call regular customers by name. 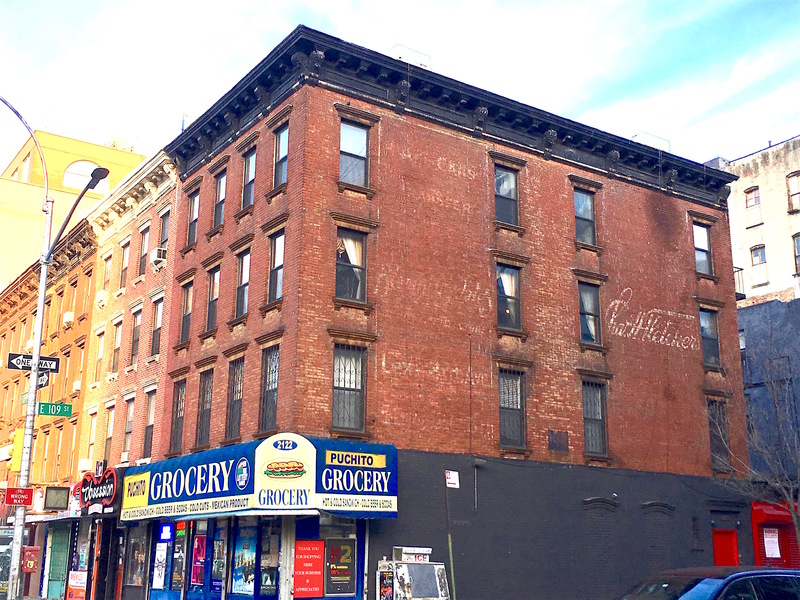 “Suspicion focused on a man named Robert Butler, 28, who had left Manhattan shortly after the shooting,” wrote Wall. Cops located Butler, a former taxi driver, in Maryland, where he confessed to shooting Geller in a drunken rage because Geller refused to serve him. Brought back to New York in November 1943, Butler was sentenced to 15 years.